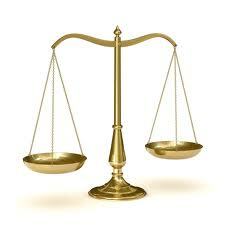 I find it very difficult to find the right balance. The problem is of course, that balance is key. If we didn’t have balance, what would we have? There are so many different kinds of balance: there is a balanced diet, life-work balance, balancing your accounts, etc. Compared to English, the Swedish language does not allow the same level of nuances or subtleties. For example, in Swedish we only have one word for expressing both safety and security (“säkerhet”), leaving us Swedes unable to distinguish the differences in meaning. Similarily, if we want to describe that an intervention addresses the desired problems (is effective) or that the intervention does not use an unnecessary amount of resources (is efficient), we Swedes have only one word to use for both these types of results (“effektivitet”). There is however, one Swedish word that has no equivalence in English. This word is said to have its origin in the olden days, in the days of the Vikings. Our proud ancestors apparently liked efficiency and didn’t want to spend too long doing the washing up after their gluttonous feasts. Hence, they only had one goblet per household and it was of course essential that there was enough mead for every guest to be satisfied. The one goblet, probably the size of a very large pitcher, was filled to the brim with the Viking elixir of life and passed around the table. It was the strict responsibility of every man, regardless of the individual level of intoxication, to ensure that his sip, gulp, quaff or draught wasn’t so large that the man at the end of the table wouldn’t be able to properly quench his thirst. The goblet was to last around the whole table (“laget om”), meaning that each man had to drink just the right amount for him to balance his own needs while not making enemies further down the table, not too little and not too much. And the Swedish word “lagom” was born. Finding the balance is not easy, but I am convinced it is worth the effort. Time to do my balancing exercises, both physically and mentally, prioritizing and redistributing. Today is my day of lagom. Thank you Jon, such a compliment from one of my own favorite writers makes me very proud! A very lovely post, Sara. I do like the concept of lagom, and your thoughtful approach. Amanda, I am truly humbled by being praised by two of my favorite writers. Thank you! You may find that being in balance is an illusion. It’s rather the process or acct of balancing that interesting. Feedback is essential. Knowledge enable us to use feedback more efficient. Feedback also helps in orientation and navigation, they are cornerstones in performing step wise changes.